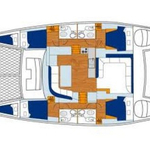 Boat Lagoon 440 called Archimede has been produced in 2009. 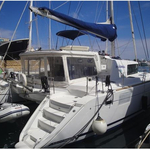 We offer this boat from harbor Tonnarella in the region: Sicily. Archimede is licensed for 12 crew members. Layout of the boat is 12 (8+2+2). 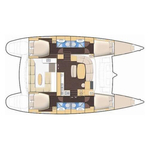 Lagoon 440 Archimede is equipped with 6 cabins. For comfort of passengers there are 4 heads with showers. With motor 55 Archimede can sail really fast. Archimede is 13.61 meters long and 7.71 meters wide. Depth is 1.3 meters. Use the search engine for search for other vessels by opening this link here: Catamarans Tonnarella. Sailboat's equipment consists of : Gps plotter, Radar, Autopilot, Mainsail with lazy jack, Classic mainsail, Radio cd mp3, TV, DVD player, generator, Inverter 12v-220v, Bimini top, Anchor electric windlass, Outboard engine. . 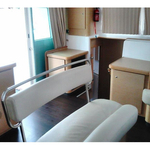 Caution is 4000.00 EUR. Choose our offer and enjoy your holidays on the deck of Archimede . 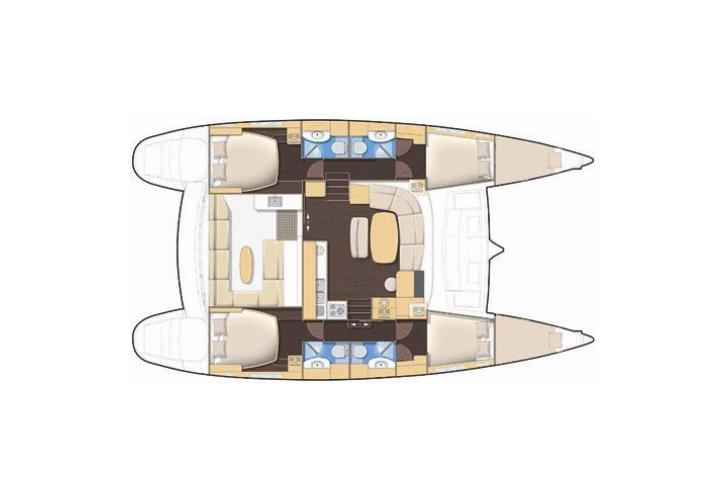 This Lagoon 440 from Tonnarella from Italy Look for under the link: Catamarans Italy.